How much makeup product do you actually need? Beauty serving size: How much makeup product do you actually need? It’s common to not know how much is too much when it comes to makeup products. Because while your favourite beauty tutorials tell you how to use a product they seldom tell you how much. We know you’ve spent a lot of money on those expensive makeup products, therefore we’re going to help you cut the waste to a minimum. 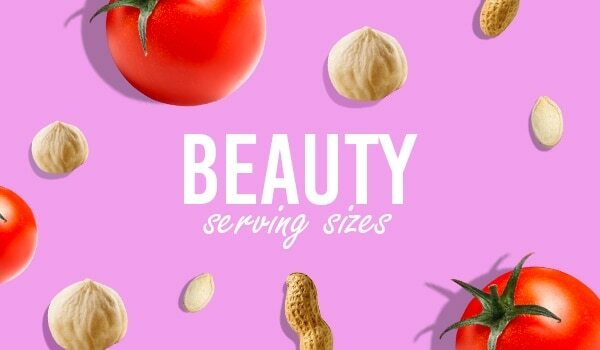 Let’s take a look at our comprehensive beauty serving size – makeup edition. Your skin requires very little primer to hold the rest of your makeup in place. A hazelnut sized amount of the Lakmé Absolute Blur Perfect Makeup Primer is enough to cover the whole face and neck. Start at the centre and blend it gently all over for an even finish and smooth surface. Wearing too much foundation not only looks unnatural but it also ruins the rest of your makeup. Take a cherry tomato sized foundation on the back of your hand, pick with your favourite makeup brush or sponge and blend it evenly on your face. This portion works particularly well if you use a liquid foundation such as the Lakme Absolute Argan Oil Serum Foundation With SPF 45. A lot of concealer will definitely hide imperfections but it will also end up look cakey. To avoid this take Lakme Absolute White Intense Liquid Concealer the size of a peanut for dark circles, redness and other blemishes. Use the triangle shape application technique under your eyes to hide dark circles. Liquid blushes are quite pigmented and one needs to be very careful while working with them. A tiny portion goes a long way. Using the Lakme 9 to 5 Weightless Matte Mousse Lip & Cheek Color in the size of a pumpkin seed or lesser is enough to create a subtle impact.